Click image above for more details about our new Health Sciences Building, which is on track to be completed in 2021. 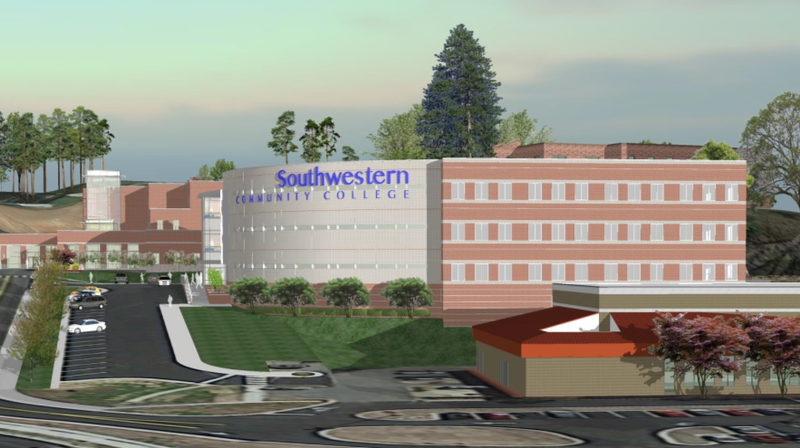 After opening bids on schedule, Southwestern Community College and Jackson County have selected a contractor and remain on track to complete the college’s new health sciences building in 2021. ABOVE: Artists' rendering of what SCC's Jackson Campus will look like once the new health sciences building is completed. BELOW: Rendering of the new building. The winning bidder is Michigan-based Christman Company, which has a regional office in Knoxville, Tenn.
SCC anticipates final contract approval within a month from the State Construction Office. Groundbreaking is expected in the spring. Not including design, site and prep work, the winning bid came out to $17,660,000. Design, site and prep work will add another $2,523,000. Funding sources for the project include more than $13 million from Jackson County, $5.4 million from the Connect NC bond and more than $2 million will be covered by an Economic Development Adminstration grant secured by SCC and Jackson County. 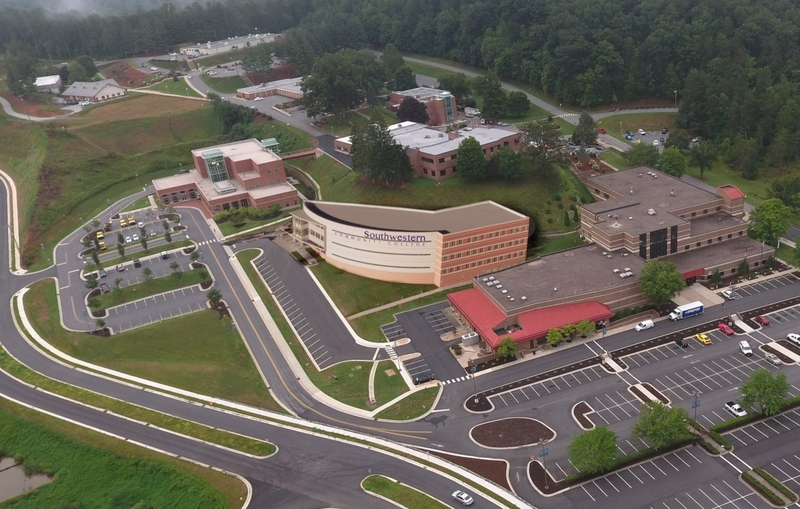 SCC has outgrown its Balsam Center, which was built in 1988 to house four healthcare training programs. The college now has 14 Health Sciences programs, and this building will allow Southwestern to add three more. According to research conducted by William Brothers, SCC’s Vice President for Financial and Administrative Services, the average starting salaries for each of SCC’s existing health sciences programs exceed the state’s poverty level for a family of four. The proposed new programs also eclipse that same standard.